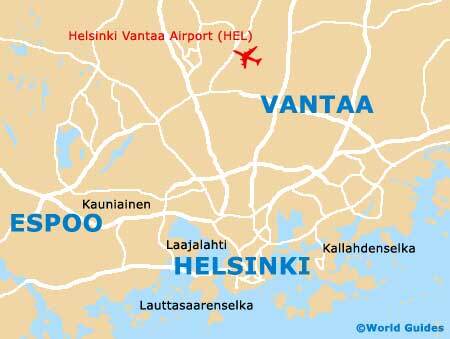 Hotels in Espoo tend to be considerably cheaper and more readily available than those in nearby Helsinki. 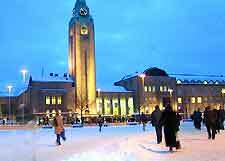 As a result, Espoo has become a popular alternative for those wishing to visit the Finnish capital, with accommodation still within easy reach of Finland's capital city. However, the choices in the city are fairly limited and at busy times, soon become full, generally becoming less expensive at the weekends, when the commuting businessmen leave on Fridays. Espoo is the second-biggest city in Finland after Helsinki and its hotels are spread around each of the five districts, with the best selection of accommodation being clustered in the city centre and around the waterfront, along the Otaranta and off the Karhusaarentiha. One of the most popular hotels in Espoo is the Radisson SAS Hotel, which features more than 200 guest rooms and is located on the Otaranta itself, alongside the beachfront and the Gulf of Finland. 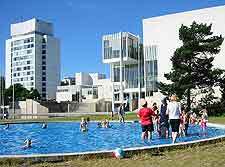 The Tapiola area of Espoo also contains a number of lodging options close to the coastline, along stretches such as Hagalundintie, the Westendvägen and the Tapionaukio, where the Sokos Hotel Tapiola Garden resides. Further hotels can be found in Espoo city centre, along the Kivilammentire, where the popular Hotelli Lepolampi is amongst the most notable choices. Look too along the Leppävaara, in the city's Perkkaa neighbourhood and off the Turunväyla. Here you will find the Hotel Sello, which lies in central Espoo, a short walk from Leppävaara Station and approximately 20 km / 12 miles from Helsinki Vantaa Airport.